Wholesale Trader of a wide range of products which include ubrush - scalp massager and ibrush-hair and scalp massager. As a quality-oriented organization, we are focused to provide our clients excellent quality OSIM Hair Massager that stimulate blood circulation as it massages your scalp. The offered massager is manufactured using best grade components and superior technology at vendors’ end. The offered massager is availed in different configuration and other related specifications, in order to meet the variegated expectations of our precious customer. Our provided range is rigorously tested by the team of our vendors’ professionals. Furthermore, our clients can avail this massager from us at market leading prices. Owing to our vast experience in the concerned industry, we are offering a comprehensive array of OSIM iBrush Head Hair and Scalp Massager. The entire range is designed using best grade components and the advanced technology at vendors’ end. We offer this massager in diverse models and other related specifications, designed to suit ever-evolving requirements of our prestigious clients. Moreover, our offered range is rigorously tested by our vendors’ on well-defined parameters, in order to deliver a flawless range at our client’s end. 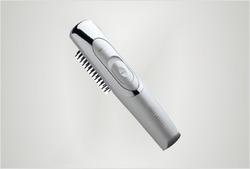 l OSIM iBrush soothes, stimulates and relaxes to improve the condition of your hair. l Gentle vibrating bristles improve natural hair oil production whilst providing an invigorating scalp massage simultaneously. l Actively stimulate healthy blood circulation of the scalp. 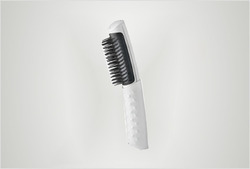 l Specially designed bristles to tenderly detangle hair, naturally enhancing shine and preventing hair breakage. l Featuring an easy to clean removable brush plate, the iBrush without its brush plate can also function as a de-stressing body massager perfect for providing instant relief to aching neck and shoulder muscles. Looking for Hair and Scalp Massager ?